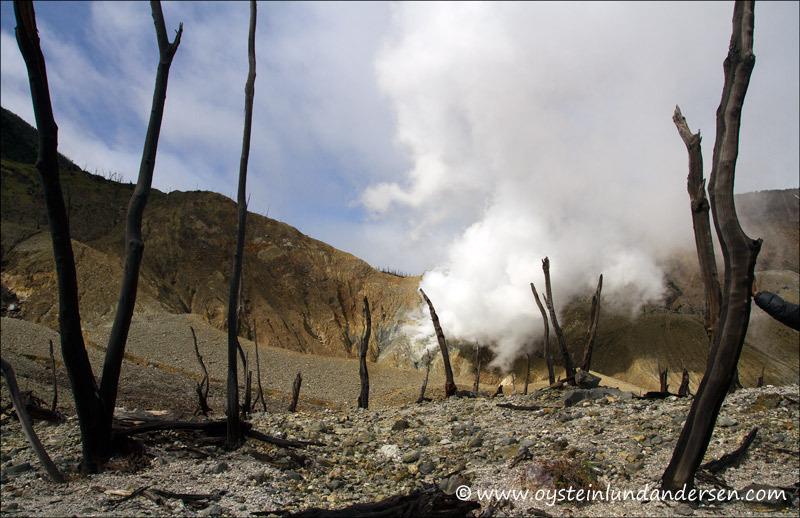 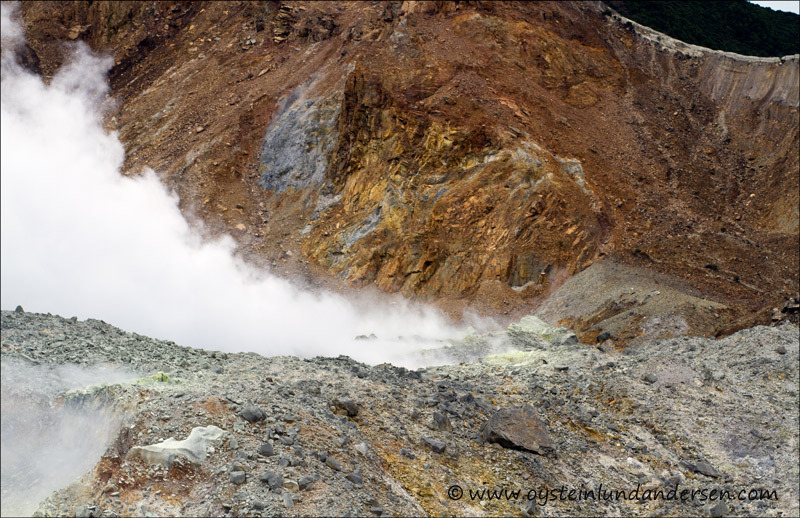 Type of activity observed: Gas/sulphur emission were modestly active from 2 vents, one of them – the kawah baru (new crater) had a pulsing emission reaching around 100-150m. 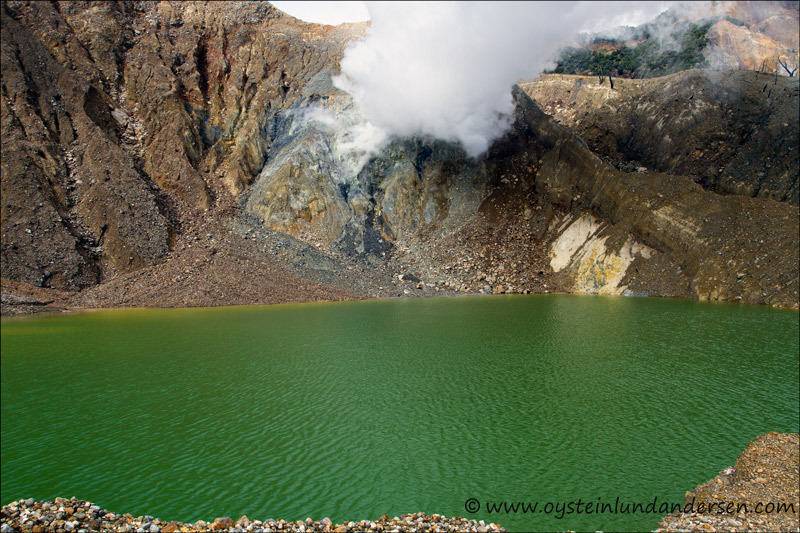 This crater also contains a lake which now has a green color. 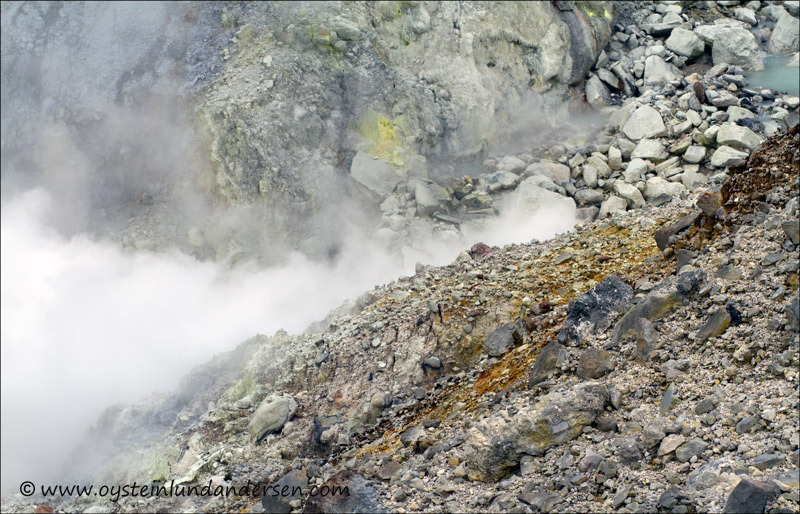 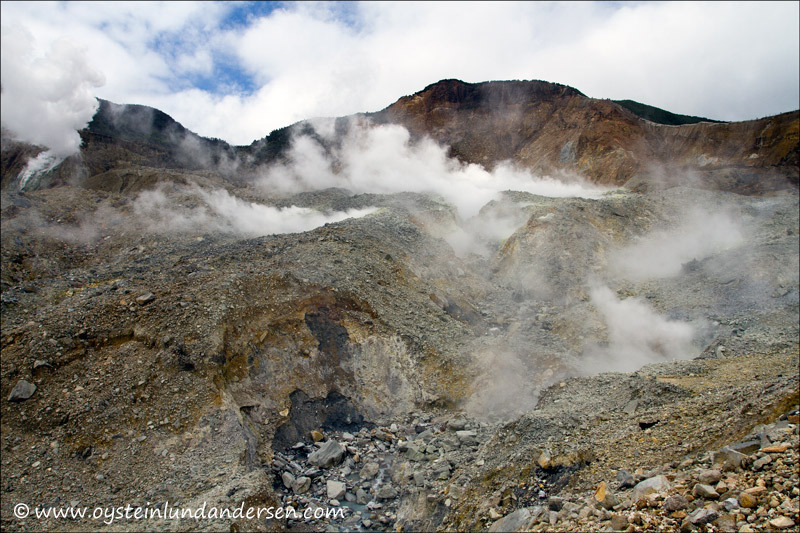 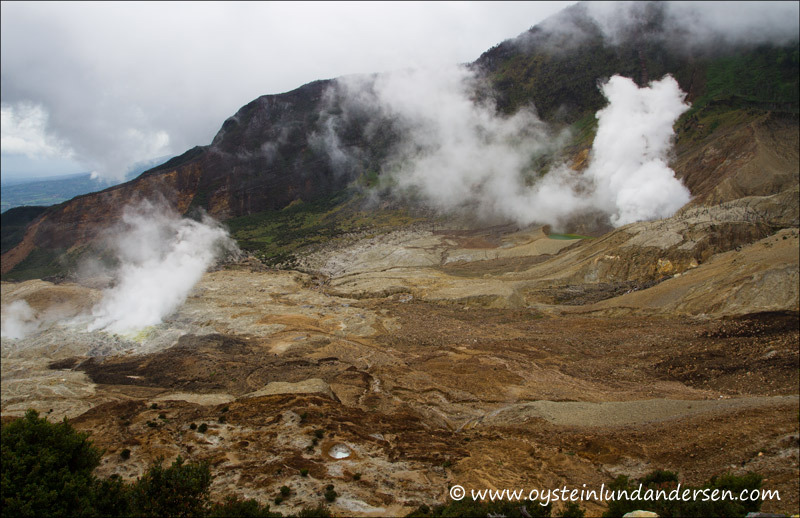 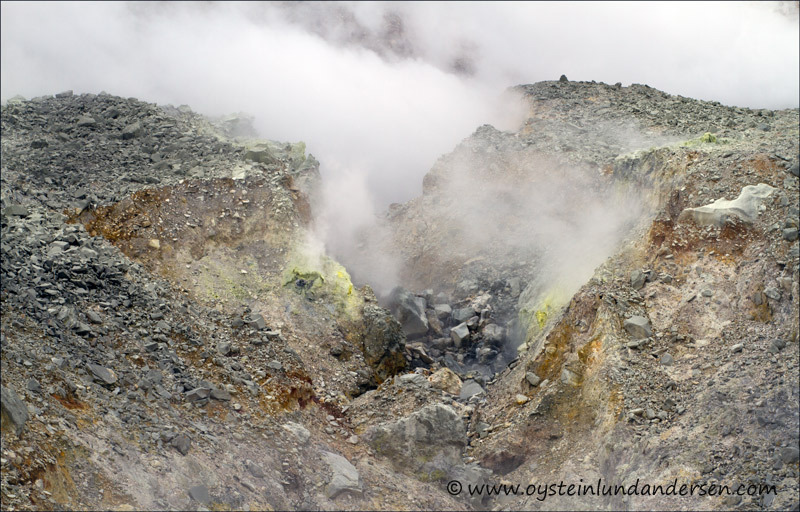 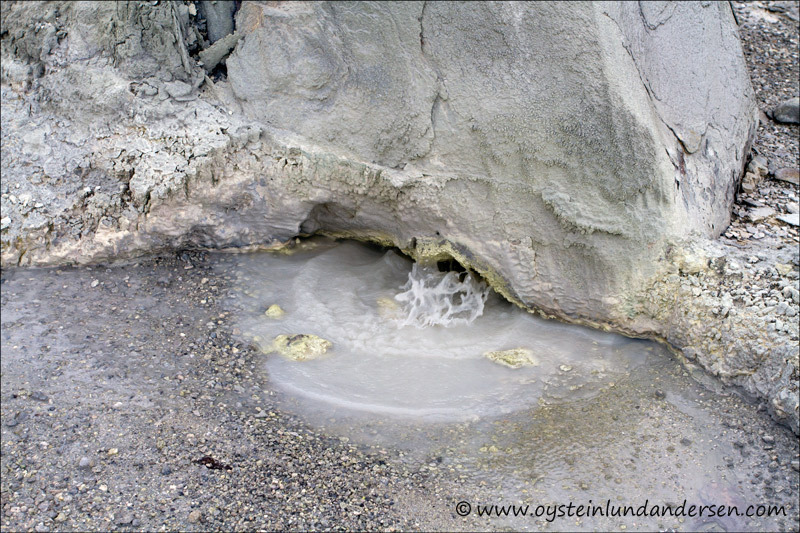 Several other small fumarolic vents are also active within the papandayan volcano. 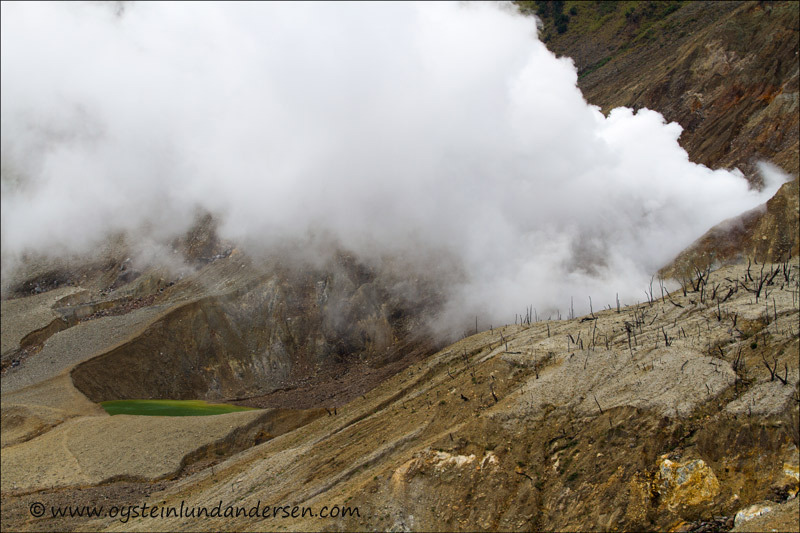 Photos: 24 available in format/size: RAW/JPG – 5182 x 3456 pixels in this post. 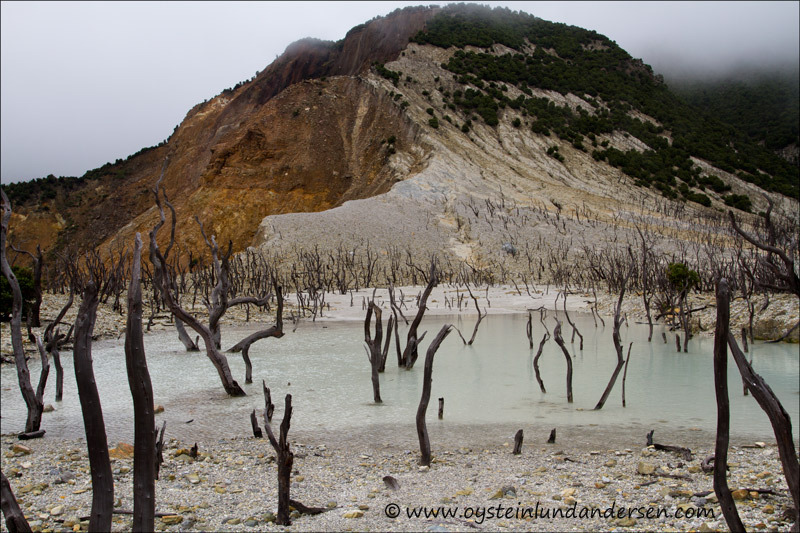 Total of 800+ photos not presented on the website. 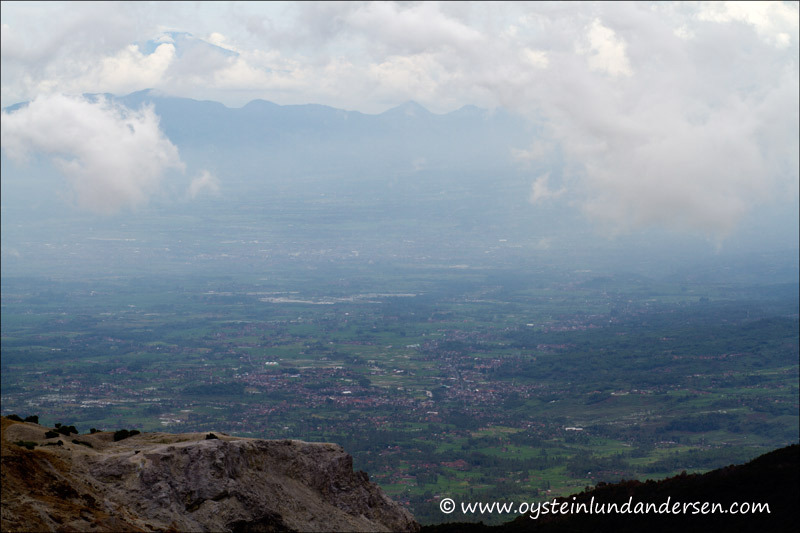 Papandayan seen from from the town of Cisurupan. 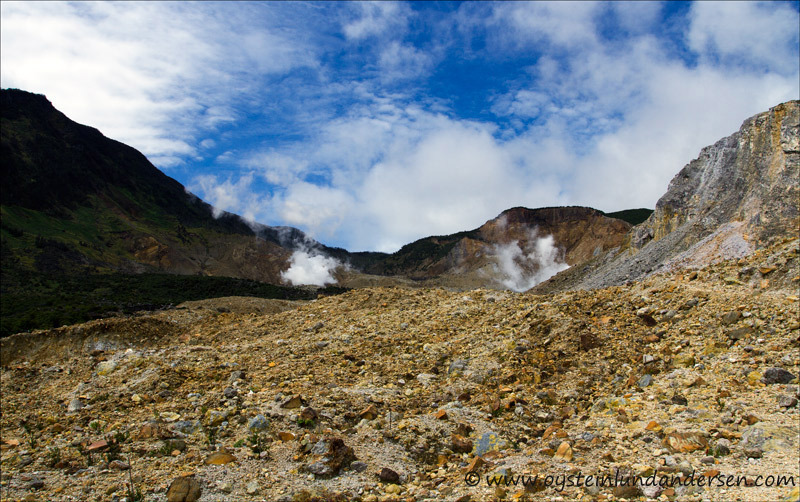 Panorama of the Volcano, standing on the side of the volcano that collapsed during the 1772 eruption. 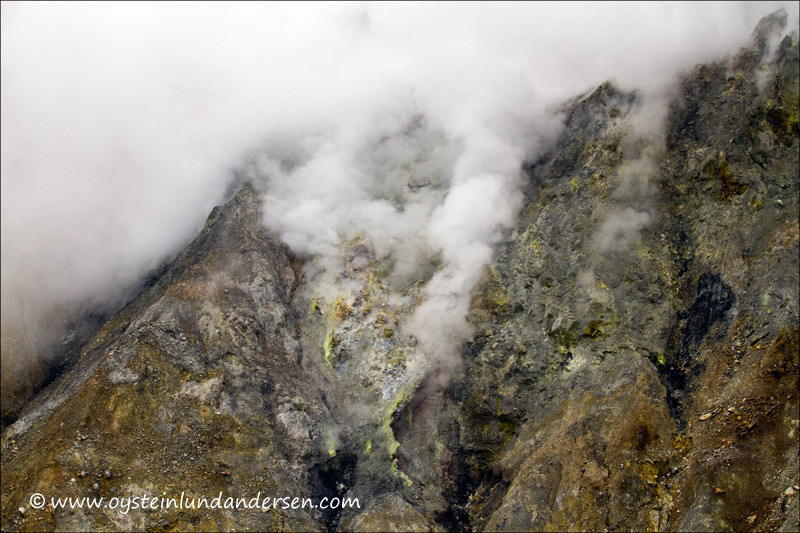 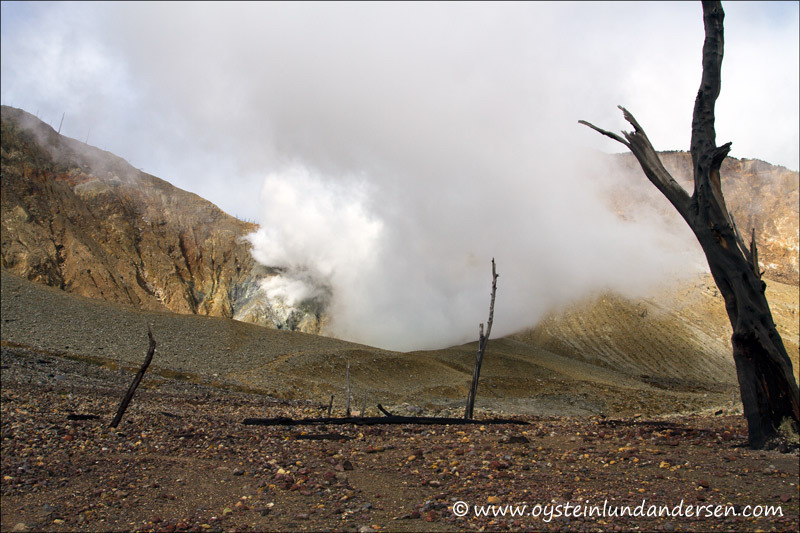 Steam from the Kawah baru crater. 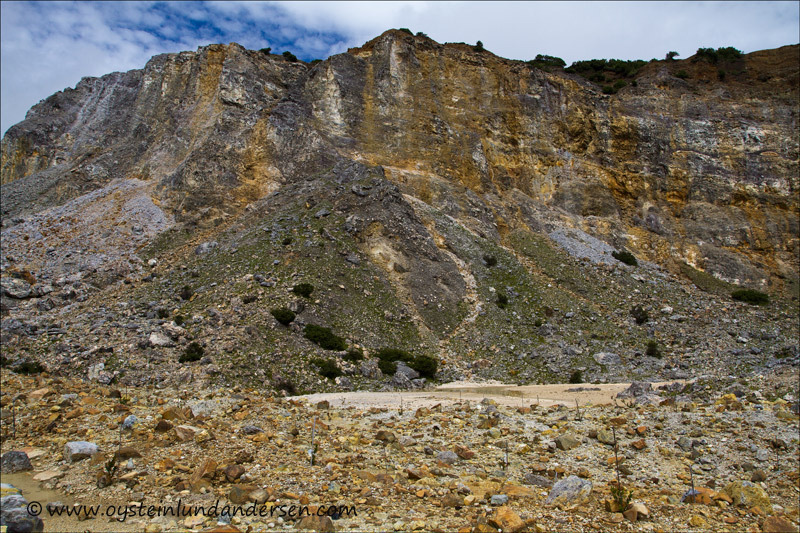 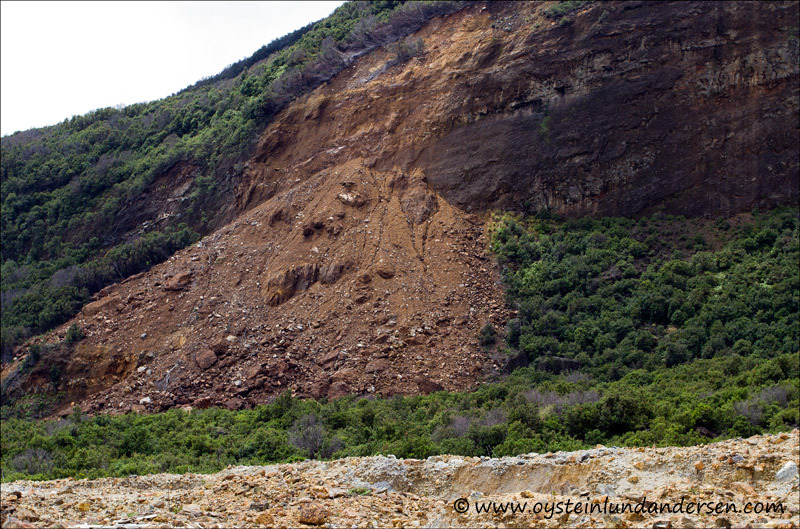 Welirang Ridge in the background is the NE wall produced by collapse of Papandayan volcano in 1772. 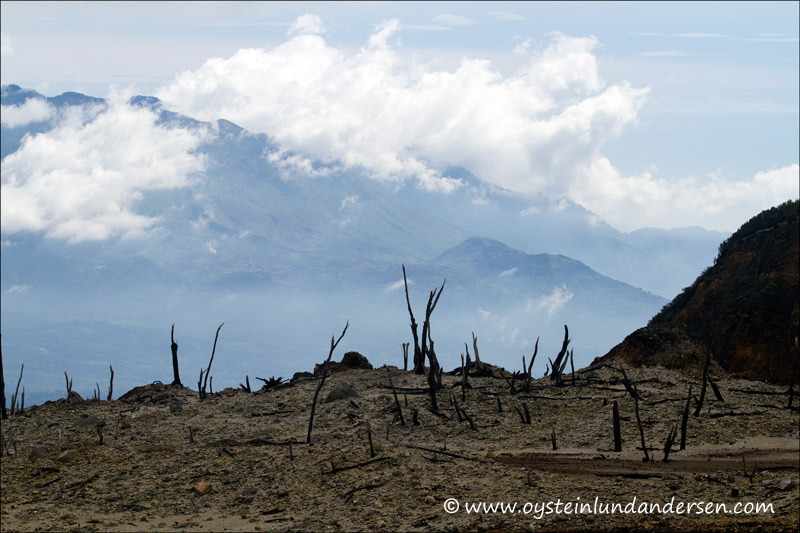 Dead trees and the garut plains in the background. 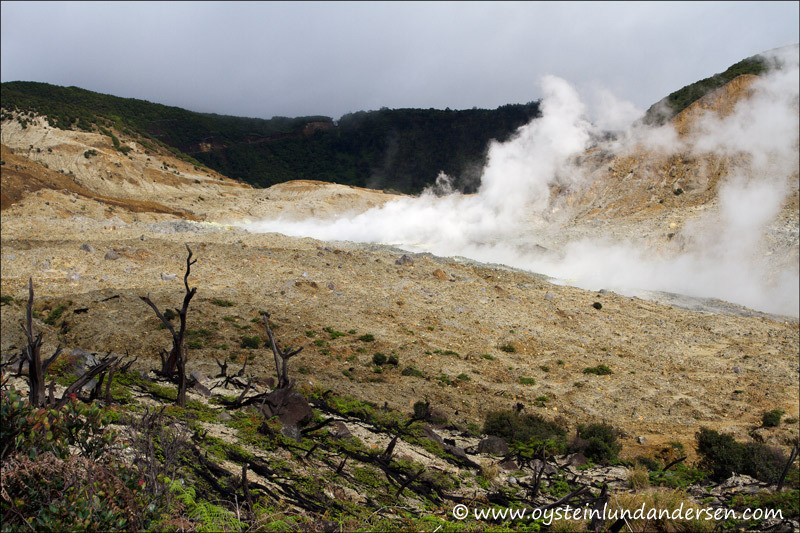 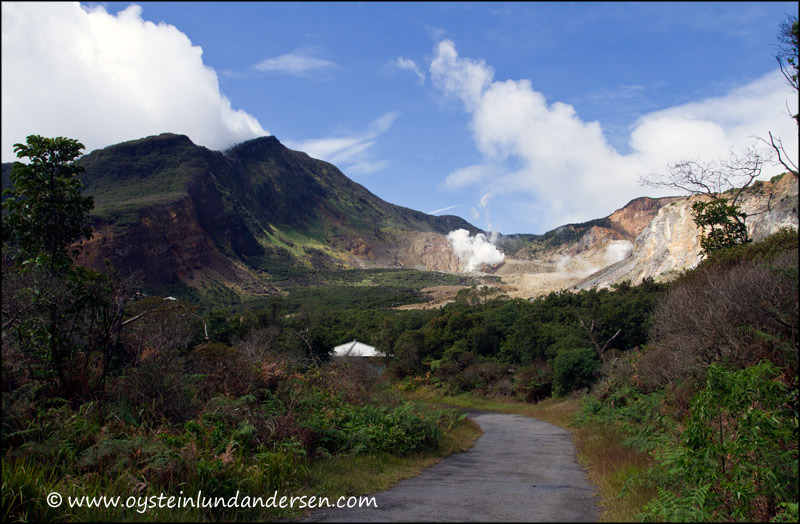 The kawah baru crater, that last erupted in 2002. 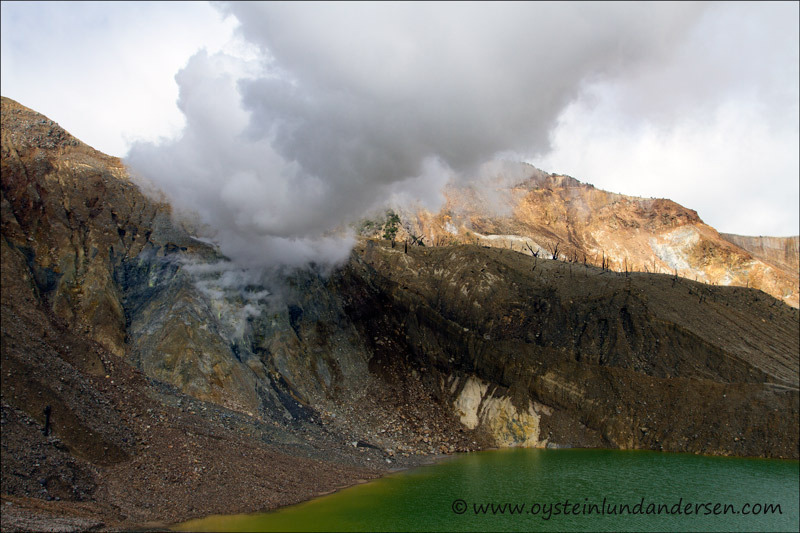 The kawah baru crater, that last erupted in 2002. 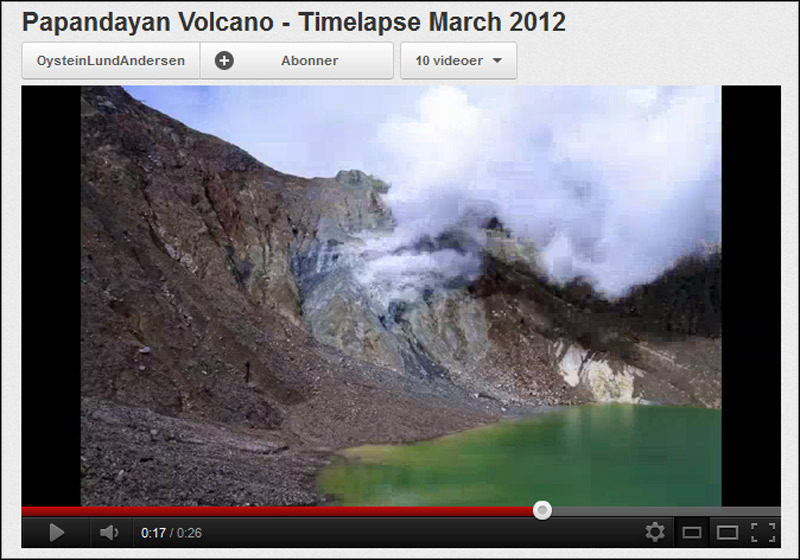 The crater is now filled with a lake. 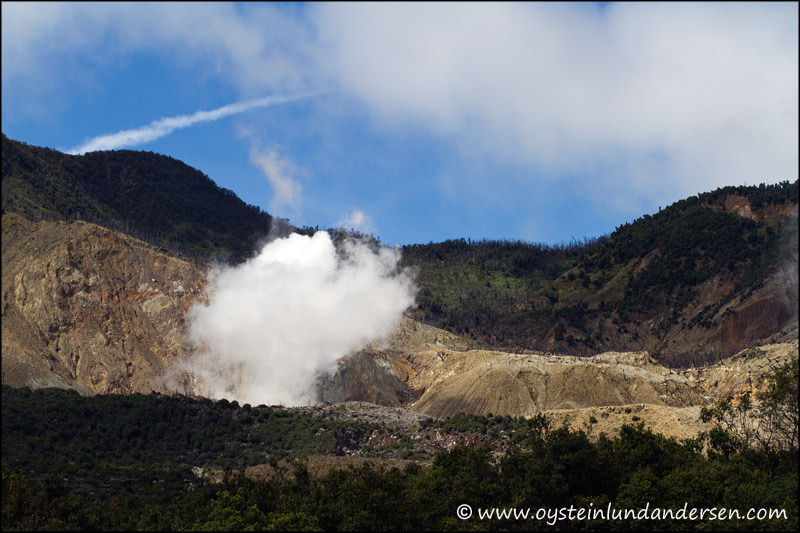 Zoom on vent on the side of the kawah baru crater. 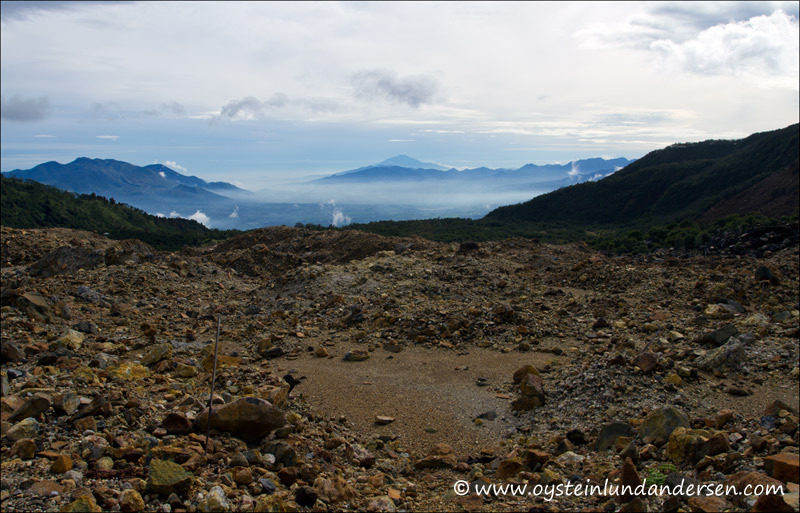 Overview of Papandayan from above. 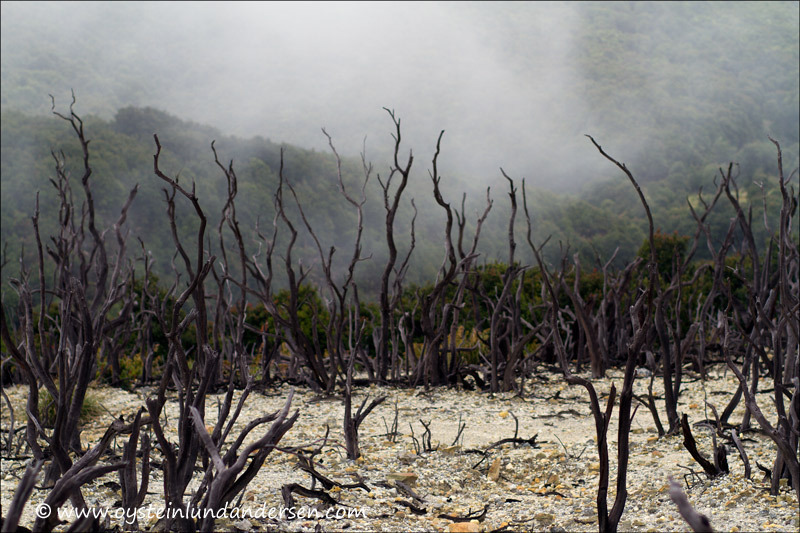 Dead trees on a plateau above the active geothermal area. 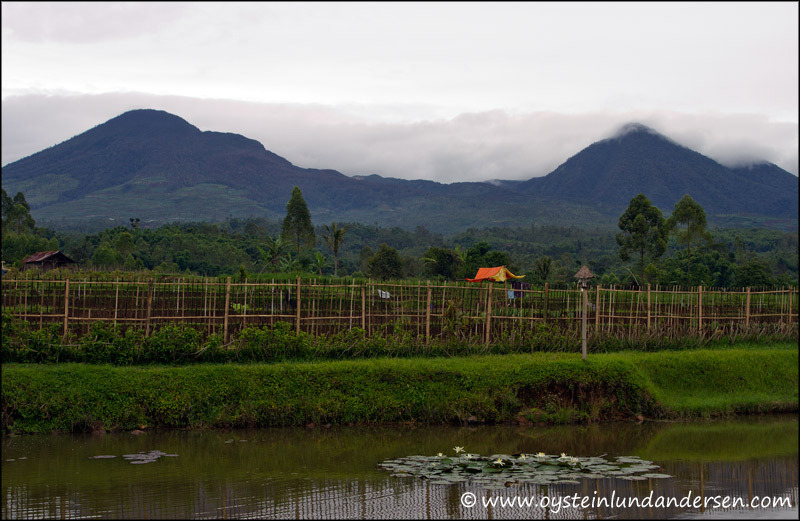 View over the Garut Plains.